The fashion world lost one of its brightest stars last night. In his honour, a little homage to the man named Oscar. 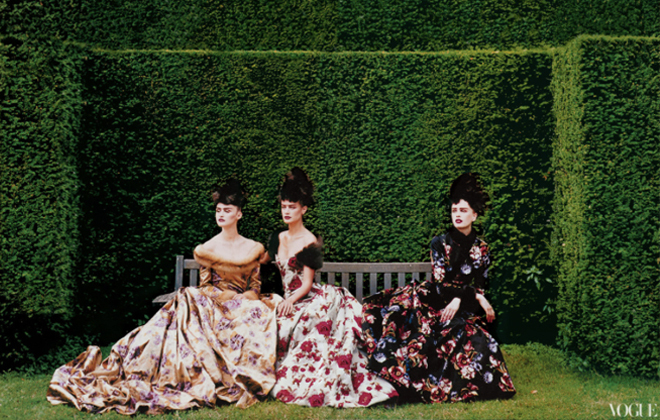 Oscar de le Renta passed away at the age of 82 and left behind a fashion legacy that few will replicate. In my humble opinion, he was one of the truest dress designers who created timeless, stunningly detailed pieces that would last ones lifetime. Never trendy, always chic, extremely feminine. You could tell he was from another era, of sorts. He was one who grew up in a time when people “dressed” for lunch. On the runway after one of his Couture collections debuted. Main image above from Vogue. His last collection, Spring 2014. Image from Oscar de la Renta. Another dress and coat with amazing details from the Spring 2014 collection. Image from Oscar de la Renta. Oscar de la Renta started his career in postwar Madrid and found himself, largely self taught, working his way around houses such as Lanvin and Balenciaga before moving to the United States. In 1961 he joined Elizabeth Arden, which at that time produced a couture line. In 1965, he left Arden to join the company of Jane Derby, as partner and designer. Miss Derby retired shortly after, Mr. de la Renta took over, and grew the brand to include fragrances, dozens of licenses, and boutiques in the United States and abroad. 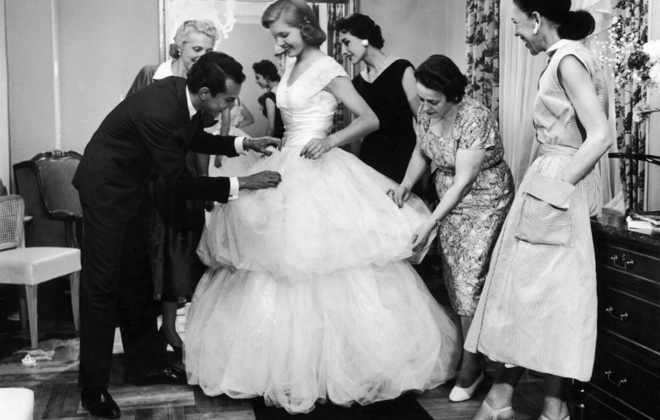 Beatrice Lodge is being fitted by fashion designer Oscar De La Renta in 1956. Image: LIFE collection/Getty Images. One of his biggest successes was when he made his debut as a couture designer in Paris in 1993, showing a collection for Pierre Balmain. He became the first American to design an important couture collection in Paris since Main Rousseau Bocher, known as Mainbocher, closed his salon there in 1940. Amy Adams wearing Oscar de la Renta at the Oscars in 2013. 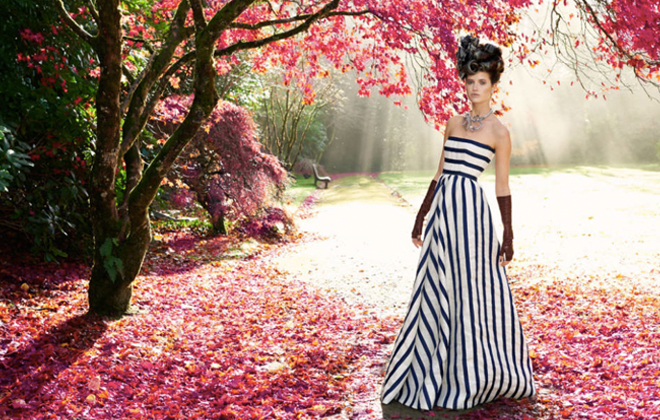 Beautiful editorial image in Town and Country magazine of one his recent dress designs. Photograph by Perry Ogden. NYC Fashion Week this past September after showing what would be his last collection. His passion was to make a pretty dress and that he sure did do well. Eventually, Mr. de la Renta was famous as both a couturier to socialites and as a red-carpet king. Many unforgettable looks on the red carpet were designed by this legend. Most recently, his big headline was about creating the beautiful ivory tulle bridal gown that Amal Alamuddin wore to wed George Clooney in Venice. 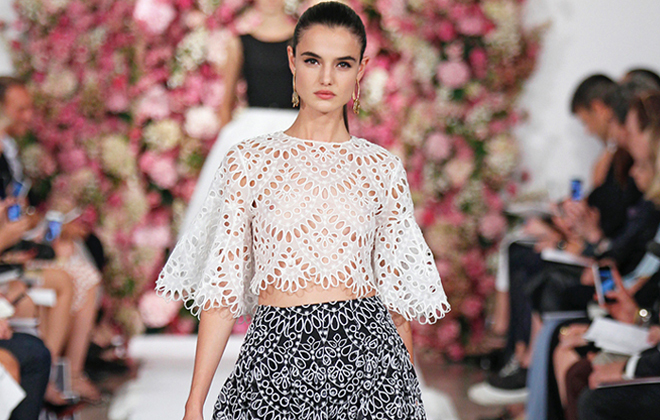 There were many designers who had bigger businesses, but no one can argue the fact that everyone has heard of Oscar de la Renta. It’s a name that is synonymous with fashion. Oscar never tried to be anything that he wasn’t. One of my favorite quotes of his is “Never, ever confuse what happens on a runway with fashion. A runway is spectacle. It’s only fashion when a woman puts it on.” Too true, Mr. de la Renta!